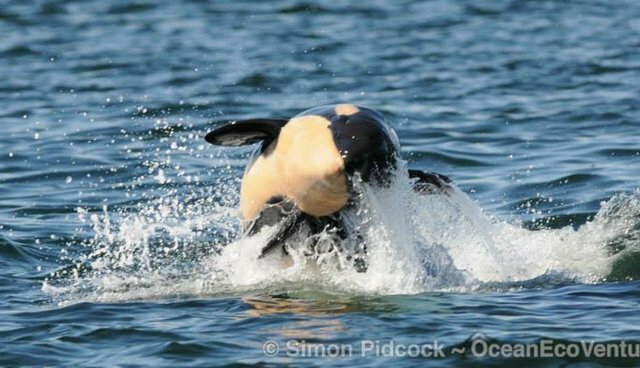 As one of the newest arrivals to her pod, this baby orca still has a lot to learn about life in the wild - but she's clearly got playtime down pat. 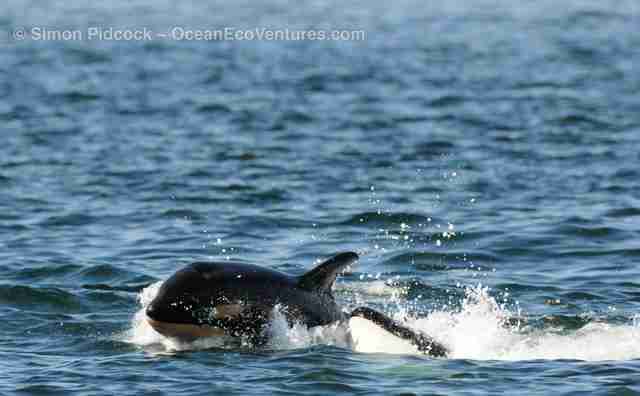 The precocious 4-month-old, known as J50, was spotted recently enjoying a few spirited moments of fun with her mother in the waters of the Pacific Northwest. "They're pretty rambunctious animals. 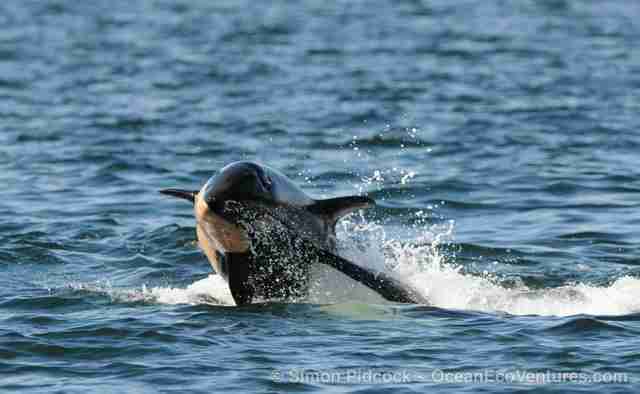 They were playing for a good 30 minutes," Simon Pidcock, owner of Ocean EcoVentures Whale Watching, told The Dodo. "Mom was flipping her up into the air, out of the water." This scene of the healthy orca baby and her mother, dubbed J16, socializing in such a way isn't just heartwarming, it's also immensely reassuring. J50 is just one of two calves born to this endangered pod of Southern Resident killer whales in recent years, so every new sighting is a cause for celebration. "We're just all rooting for them," said Pidcock. "They have a high mortality rate in the first year, so we're really hoping that these little ones make it. I think their chances are quite good. Both moms are experienced mothers, so it's nice to have them showing the calves the ropes, so to speak." 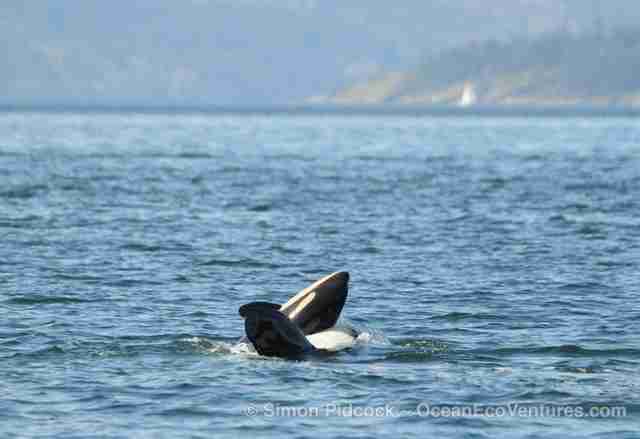 Pidcock said the amusing pastime J50 and her mother were seen enjoying is just one of the countless complex behaviors he's seen from orcas in the wild, one which speaks to the interconnectedness of these highly social animals. "Unlike in captivity, here we see the whole family together," he said. "I believe they have much stronger social bonds than we do. They all stick together as a family unit. We have a lot to learn from them."